Reversed: Overly-emotional, easily influenced, bitchy, cold-hearted. The Queen of Swords sits on a stone throne decorated with a cherub, representing the Queen’s softer side, and butterflies representing transformation. She faces towards the future, with her left hand raised as if to receive, and in her right hand, she holds a sword up high and straight, representing her desire to find the truth in all matters. As with the earlier Swords Court cards, clouds accumulate in the sky and a strong wind that passes through the trees, symbolising the ongoing nature of change. The Queen of Swords combines the mental clarity and intellectual power of the suit of Swords with the maturity and receptiveness of the Queen. You have the gift of being able to use your intellect and unbiased judgement while also remaining flexible and open to receive input from other sources. As you lead from the head and not the heart, you are better able to discern situations without the influence of emotion or sentimentality. You may believe that empathy or compassion towards others will distract you from the task at hand. Instead, you prefer to know the how, what, why, where, when and who of everything to help you make sense of your environment and better understand others. It is not that you do not care about others, but you connect with other people through an intellectual understanding rather than an emotional one. 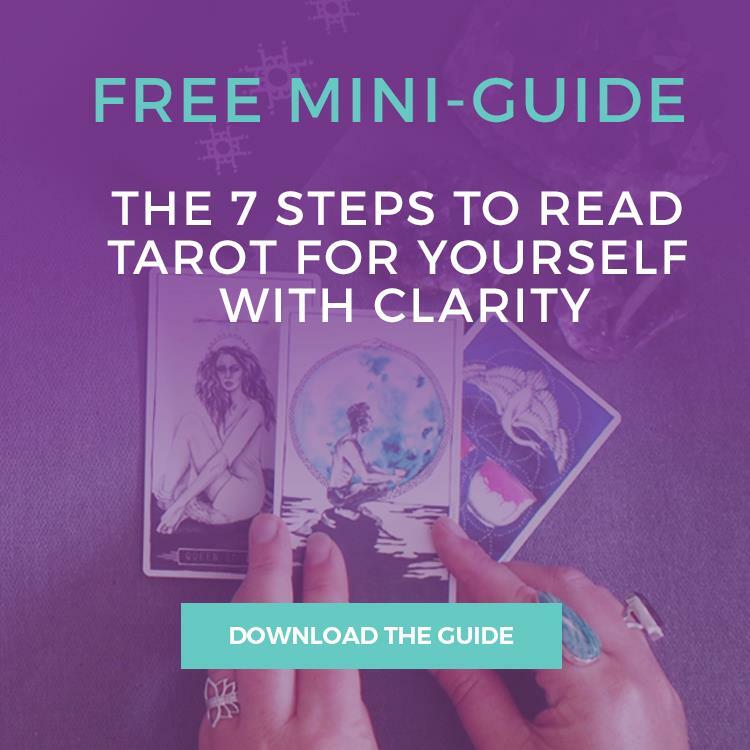 The Queen of Swords notes that you are a truth-seeker. You are open to hearing the thoughts and opinions of others, but ultimately, you filter that information to decipher what is true and what is not. When interacting with others, you will not tolerate mistruths or excessive ‘fluff’. You prefer to get to the heart of the matter without engaging in too much chit-chat or gossip. 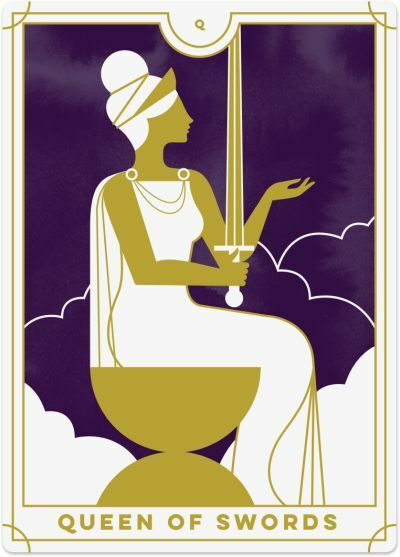 The Queen of Swords suggests that you have an innate ability to tell it like it is. You are a quick thinker and highly perceptive, piercing through the noise and confusion to get straight to the point. There is no ‘beating about the bush,’ or ‘softening’ of your comments, opinions and thoughts. You are upfront and honest in your views, and you expect the same from others. For this reason, many people respect your opinion and come to you for advice when they need clarity. As a determined, independent and resilient person, you have established clear boundaries, and you are quick to call out someone who crosses them. People do not mess with you, not because you threaten them or inflict violence, but because you set expectations up front about how you want to be treated. Some people might be intimidated by you, but once they get past your tough exterior and develop a sense of trust and respect, they see your softer side. The Queen of Swords reversed points out that you may allow your emotions to get the better of you as you put your heart before your head. You may be emotionally involved in a particular issue, and it could be distorting your perception of the situation at hand. You need to use your head a bit more to understand what is happening and read the signals more accurately. Take an objective look at what’s going on and decide what you need to do next. The reversed Queen of Swords suggests that your relationships are clouding your usually clear vision. You are allowing others to dominate you and negatively affect your ability to make decisions. You hesitate to pursue your plans because you don’t want to rock the boat or disrupt your relationships with others. At the end of the day, however, you need to be more hard-edged, confident and assertive to be successful. Sharp analysis, objectivity, and careful consideration of (but not necessarily choosing) the alternatives are essential right now. At times, the reversed Queen of Swords can come across as cold-hearted, resentful and bitchy, particularly if she is devoid of any emotion or compassion for others. This card may represent a part of yourself or someone else you are trying to deal with. You may be putting others off-side and losing your supporter base, isolating yourself from others and being seen as narrow-minded, intolerant and mean.